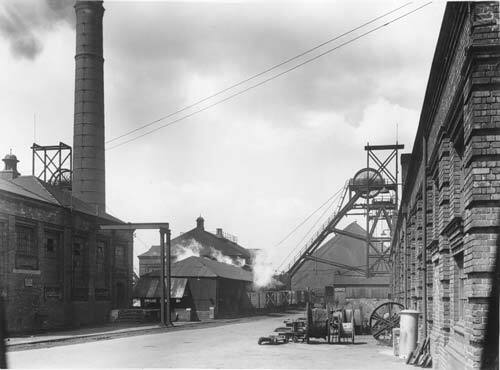 Holditch colliery, Chesterton (1912-1989). Known locally as ‘Brymbo’, there were two shafts approximately 2000 feet deep. An explosion occurred in July 1937, killing 30 men and injuring 8. Modernisation took place after 1947 using some of the most modern machinery. It was reputed to be the most gassy colliery in Britain. From July 1976 it supplied 1.25 million therms of gas per year, equivalent to 4000 tons of coal, to local brickworks, firing 500,000 bricks per week.